When a uniquely designed equine activity is facilitated, debriefed and feedback is given, it drives the message home. Huge Ahhh moments happen, an EEL session can truly be a profound experience. We’re always told that we learn from experience, “Live and Learn”. Actually going through an experience is a more powerful way to learn and is proven to cause a lasting change. Have you ever felt like you can’t stand up for yourself or have a problem saying No? Do you struggle with managing emotions? Do you have a fear of horses due to a riding accident or just due to the shear size? Any signs of PTSD in you or a loved one? If you answered yes to any of these questions, our horses can help. Here’s a quick explanation. Horse’s actions metaphorically show us humans our potentially damaging habits and behaviors. It works like a mirror, metaphors tend to make themselves clear to people, even the younger children seem to get it. Facilitated: to make something easier or more likely to happen. You facilitate growth or a process, as opposed to, say, dinner. Experiential Learning: is the process of learning through experience and is more specifically defined as “learning through reflection on doing”. 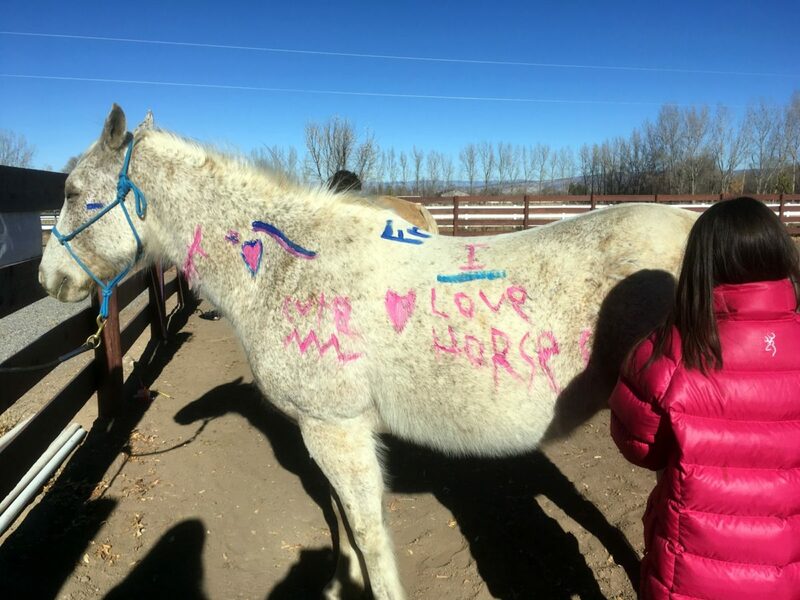 In summary, when humans and horses get together to complete a specifically designed exercise, there’s a lasting impact on our behavior, it creates associated feelings/physical memory, which is a profound way of creating sustainable change.